Why haven’t humans evolved to age more painlessly? All of today’s Lok Sabha poll campaign updates, as they happen. 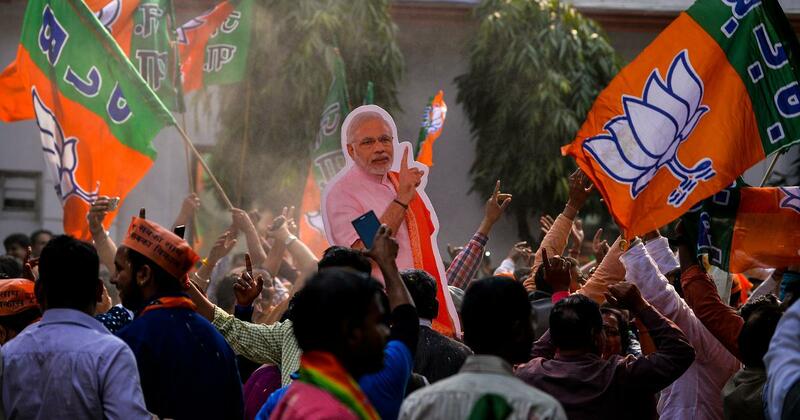 India’s General Elections are on from April 11 through May 19 over seven phases, with counting slated for May 23. For the full schedule click here, and to subscribe to our newsletter about the elections, click here. The BJP’s Central Election Committee, including Prime Minister Narendra Modi, met on Friday at the party headquarters in Delhi. The party is expected to release the second list of candidates for the Lok Sabha elections over the next few days. Meanwhile, a report in The Caravan alleged that central BJP leaders, judges and advocates were paid more than Rs 1,800 crore by Karnataka state chief BS Yeddyurappa. The Congress sought an independent inquiry into the allegations. Former Indian cricketer Gautam Gambhir on Friday joined the BJP. 10.16 pm: Congress chief Rahul Gandhi will launch his party’s Lok Sabha campaign in West Bengal on Saturday, PTI reports. 10.15 pm: Telangana Congress leader J Chittaranjan Dass resigns, says “there is no social equality and respect for senior members”, ANI reports. Dass was the chairman of the Telangana unit’s OBC cell. 8.42 pm: Former Union Minister Agatha Sangma files her nomination papers as a candidate of National People’s Party for the Tura parliamentary seat in Meghalaya. Agatha Sangma is the sister of Chief Minister Conrad Sangma and served as a minister the previous United Progressive Alliance government. 8.30 pm: Telangana Chief Minister K Chandrasekhar Rao’s daughter Kavitha files nomination from Nizamabad for the Telangana Rashtra Samithi. A section of this crowd gets converted into votes, he says, adding that wherever she will campaign, the Congress will benefit from it. 8.07 pm: Prime Minister Narendra Modi arrives for the BJP Central Election Committee meeting at the party headquarters in New Delhi. 8.05 pm: The Nationalist Congress Party announced that Solapur Zilla Parishad chief Sanjay Shinde will be its candidate from Madha Lok sabha seat in Maharashtra. The party is fielding former state minister Ranajagjitsinh Patil as its candidate from Osmanabad constituency. 8 pm: The Janata Dal (Secular) has said it will not be contesting elections from Maharashtra, which has 48 Lok Sabha seats. The party’s national general secretary Justice (retd) BG Kolse-Patil criticises Vanchit Bahujan Aghadi for failing to form an alliance with the Congress and the Nationalist Congress Party in the state. The Vanchit Bahujan Aghadi is an alliance of Prakash Ambedkar-led Bharip Bahujan Mahasangh, the All India Majlis-e-Ittehadul Muslimeen and the Janata Dal (Secular) in Maharashtra. “By not having an alliance with the Congress in Maharashtra, we have lost an opportunity to prevent the BJP from coming to power again,” Kolse-Patil says. 7.50 pm: Senior leaders of the Nationalist Congress Party and the Congress will decide whether to form an alliance for the Lok Sabha elections in Gujarat, says former state chief minister Shankersinh Vaghela. Vaghela is also the Nationalist Congress Party’s national general secretary. The elections for the 26 Lok Sabha seats in Gujarat will be held in a single phase on April 23. 7.39 pm: Telangana Pradesh Congress Committee chief Uttam Kumar Reddy files nomination from Nalgonda constituency. 7.36 pm: Karanataka Chief Minister HD Kumaraswamy says his son Nikhil Kumaraswamy and nephew Prajwal Revanna were not contesting the Lok Sabha polls “for fashion”, but for the sake of the people. “They will be with the people in their happiness and grief, as their family members. With this commitment they are contesting the election,” he tells reporters after Revanna filed his nomination in Hassan. 7.32 pm: The Janata Dal (United) releases its second list of eight candidate for the Assembly elections in Arunachal Pradesh. Sitting MLA from Itanagar, Techi Kaso, who was denied a ticket by the BJP, has been fielded by the JD(U). The party has also fielded sitting BJP MLA Dikto Yekar from the Daporijo constituency. The Lok Sabha and Assembly polls in the state will be held simultaneously on April 11. 7.30 pm: BJP general secretary Bhupender Yadav says Congress leader Priyanka Gandhi Vadra will not have any impact in the Lok Sabha elections in Uttar Pradesh. “The people of this country have made up their mind to once again give their mandate to the decisive and progressive government led by Narendra Modi,” he tells PTI. 7. 25 pm: Karnataka Congress leader Dinesh Gundurao says Modi is diverting people’s attention from matters like unemployment, demonetisation and failure of GST to emotional matters like Ram Mandir and nationalism. The language of nationalism is very divisive, he adds. 7.19 pm: OP Ravindranath Kumar, son of Tamil Nadu Deputy Chief Minister O Panneerselvam files nomination from Theni parliamentary constituency, ANI reports. 7.17 pm: BJP President Amit Shah says the Congress’ campaign is in “shambles” and it is relying on forgery in desperation. “After all the fake issues have collapsed, the desperate are now relying on forgery,” Shah tweets. “The Congress campaign is in shambles. Now even forgery can’t save them. Few loose sheets given by a Congress minister, is only as credible and reliable as Rahul Gandhi’s leadership skills. 6.30 pm: YSR Congress Chief YS Jaganmohan Reddy files his nomination papers for the Pulivendula Assembly Constituency in Andhra Pradesh, ANI reports. 6.07 pm: Congress President Rahul Gandhi accuses all BJP leaders of being “corrupt”. He cites a media report that claimed former Karnataka chief minister BS Yeddyurappa had allegedly paid bribes to the tune of Rs 1800 crore to the party’s top leaders. “All ‘chowkidars’ of the BJP are thieves. NoMo. Arun Jaitley. Rajnath Singh,” Gandhi tweets. 6.05 pm: The Congress releases its manifesto for the Assembly elections in Andhra Pradesh. The party has promised to accord Special Category Status to the state the day it comes to power. The main promises include loan waiver, extending interest-free loans to farmers, tenant farmers and Self Help Group and introduction of a minimum income guarantee scheme. 5.38 pm: The Madras High Court dismisses a plea seeking postponement of the polling date in Madurai Lok Sabha constituency because of the Chithirai festival. The Election Commission tells the court that it has extended the voting time in Madurai constituency by two hours. Parliamentary polls are scheduled to be held in Tamil Nadu on April 18. 5.07 pm: Congress leader Kapil Sibal says he will “certainly contest” from Delhi’s Chandni Chowk seat in the Lok Sabha. “I will certainly contest the Chandni Chowk seat, alliance or no alliance [with Aam Aadmi Party],” he tells PTI. Sibal had won twice from Chandni Chowk in 2004 and 2009 but lost to BJP leader Harsh Vardhan in 2014. 5.02 pm: Former Rajya Sabha MP from Telangana Ananda Bhaskar Rapolu resigns from the primary membership of Congress party, reports ANI. 5.01 pm: The Congress says Prime Minister Narendra Modi and the BJP should stop using an individual’s opinion to “spread venom”. 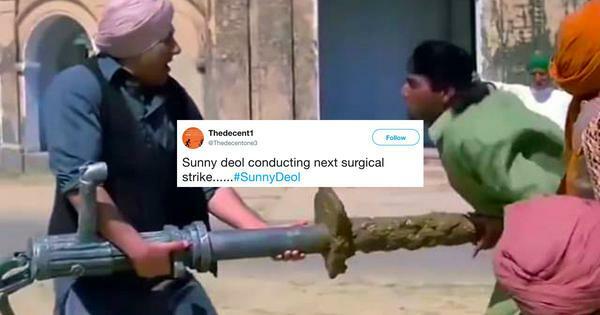 The party’s remarks come after Sam Pitroda’s comments on the Balakot air strike triggered a political row. “Modiji and BJP should stop using an individual’s personal opinion to spread venom! Instead of hiding behind the sacrifice of our armed forces, PM must answer to Nation on – jobs crisis, agrarian distress, demonetisation & GST disasters & economic downturn,” Congress spokesperson Randeep Surjewala tweets. 4.38 pm: State RJD chief Ram Chandra Purve says, “CPI(ML) will contest one seat from the RJD quota. Five seats have been allocated to the RLSP and three to VIP and HAM(S) respectively. Jitan Ram Manjhi will contest from Gaya. 4.31 pm: Sharad Yadav will contest on a RJD symbol, reports ANI. 4.30 pm: Congress and Rashtriya Janata Dal announce seat sharing arrangement in Bihar. While Lalu Prasad Yadav’s RJD will contest in 20 seats, Congress will field candidates in nine and alliance partner Rashtriya Lok Samta Party in five. “Mahaghatbandhan is a natural alliance... it is to save the Constitution,” says RJD spokesperson Manoj Kumar Jha. 4.20 pm: RS Prasad says, “Rahul Gandhi was not present at the press conference because he knew the media report presented by Congress had nothing substantial.” He adds that the Congress party has lost its balance and is staring at defeat. 4.15 pm: BJP leader RS Prasad says the Congress party where in many top leaders are out on bail and suffering many court proceedings has now resorted to create a web of lies. 4.10 pm: BJP calls Congress’ allegations of corruption a “web of lies”. 3.59 pm: Shiv Sena releases first list of 21 candidates for Lok Sabha elections. 3.57 pm: Nara Lokesh, Andhra Pradesh IT Minister and son of Chief Minister N Chandrababu Naidu, files nomination to contest Andhra Pradesh Assembly Elections from Mangalagiri constituency in Amaravati. 3.55 pm: Nationalist Congress Party’s Maharashtra unit vice president Bharti Pawar joins the BJP, reports PTI. Pawar says she is impressed by the developmental works carried out under the leaderships of Prime Minister Narendra Modi and Maharashtra Chief Minister Devendra Fadnavis. Congress leader Pravin Chheda also joined the saffron party. 3.49 pm: Yeddyurappa says the Congress has “planted the story in the media to gain mileage”. “Issues raised by Congress leaders are irrelevant and false. I’m discussing with the senior advocates to file a defamation case against the concerned person also,” he adds. 3.32 pm: CPI(M) General Secretary Sitaram Yechury says demonetisation was to “whitewash” black money. Yechury’s comments come amid reports that the current cash in circulation has increased by over 19 per cent from November 2017 when demonetisation was announced. 3.21 pm: Congress leader Jitin Prasada he will not answer hypothetical questions when asked if he is joining the BJP. Party spokesperson Randeep Surjewala also denies such reports. 3.15 pm: The BJP will address a press conference at 4 pm. 3.11 pm: The Caravan report names LK Advani, Nitin Gadkari, Rajnath Singh, Arun Jaitley and Murli Manohar Joshi. 2.45 pm: The Congress says Modi should come forward and clarify whether the report is true or not. 2.40 pm: The BSP has released its first list of 11 candidates. 2.35 pm: Surjewala cites the media report, which alleges I-T department officials have had the purported diary since 2017, and asks why the prime minister has not had it investigated yet. 2.30 pm: The Caravan alleges that the income tax department has copies of Yeddyurappa’s diary from 2009, in which there are details of payouts he made to several leaders including Finance Minister Arun Jaitley. The payoffs amount to Rs 1,800 crore. The report claims the diary is written in Yeddyurappa’s hand, in Kannada. 2.26 pm: More details from The Caravan report. 2.20 pm: Congress leader Randeep Singh Surjewala cites a report in The Caravan, which alleges that central BJP leaders, judges and advocates were paid more than Rs 1,800 crore by Karnataka state chief BS Yeddyurappa. 2.10 pm: The Congress is expected to hold a press conference shortly. 2 pm: Congress President Rahul Gandhi asks Prime Minister Narendra Modi whether he thinks about the welfare of chowkidars, or watchmen, whose title he was using in his election campaign. Gandhi posted the comment on Facebook along with an article about 10,000 chowkidars in the Jharkhand government who claimed to have not been paid salaries for four months. 1.47 pm: The Amma Makkal Munnetra Kazhagam led by TTV Dhinakaran releases final list of candidates, reports The Indian Express. The party has fielded candidates in 38 out of 39 seats in Tamil Nadu. 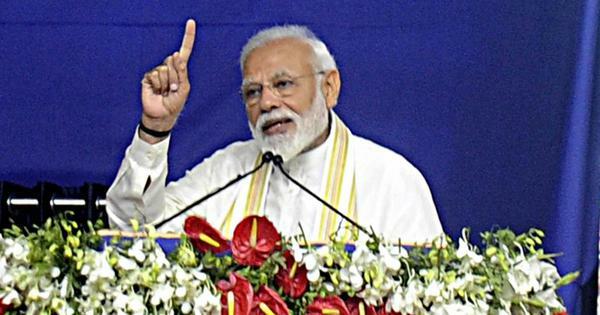 Prime Minister Narendra Modi often refers to himself as chowkidar or watchman and the Congress has repeatedly used the phrase “chowkidar chor hai” or “the watchman is a thief” while criticising Modi. 1.31 pm: Bahujan Samaj Party chief Mayawati claims the Narendra Modi-led government is hiding data on unemployment and the farming crisis. She says people only need their leaders to be committed to the law and the Constitution. “BJP leaders are scrambling to declare themselves chowkidar to appease the masses,” she says on Twitter. 1.29 pm: Jaitley says the non-state actors are “an extended limb” of the state actors in Pakistan. He says the previous Indian government’s policy was to “fight terrorists when they come to the country”. “Now, we go and strike at the point of origin of terror,” says Jaitley. 1.26 pm: Finance Minister Arun Jaitley says India’s security doctrine has evolved under the Narendra Modi government, reports Hindustan Times. Jaitley says Sam Pitroda’s statement is based on the “erroneous premise” that “there is a distinction between the non-state actors and state actors in Pakistan”. 1 pm: “If the teacher is this way, the student will be worse and the nation suffers today,” Jaitley says in response to Sam Pitroda’s comment, reports ANI. Pitroda is a confidant of Congress President Rahul Gandhi. 12.32 pm: Former cricketer Gautam Gambhir joins BJP. He says he was influence by Prime Minister Narendra Modi’s vision, reports ANI. 12.29 pm: Shiv Sena says Nationalist Congress Party chief Sharad Pawar and Bahujan Samaj Party President Mayawati deciding to not contest the the Lok Sabha elections is a clear indication of a victory for the National Democratic Alliance, reports PTI. “Along with Sharad Pawar, Mayawati too has decided not to contest Lok Sabha polls, the importance of which is that they are out of the prime ministerial race,” an editorial in the party’s mouthpiece, Saamna, said. 11.38 am: The prime minister says the Opposition is the “natural habitat of terror apologists” and those who question armed forces. 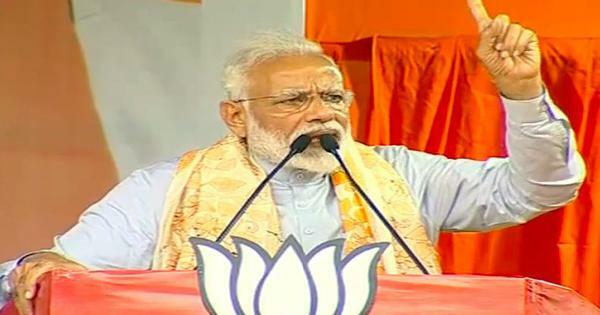 On Samajwadi Party leader Ram Gopal Yadav’s comment that paramilitary personnel who died in the Pulwama attack were “killed for votes”, Modi says the “reprehensible statement” insulted those who have given their lives in protecting Kashmir and humiliates their families. 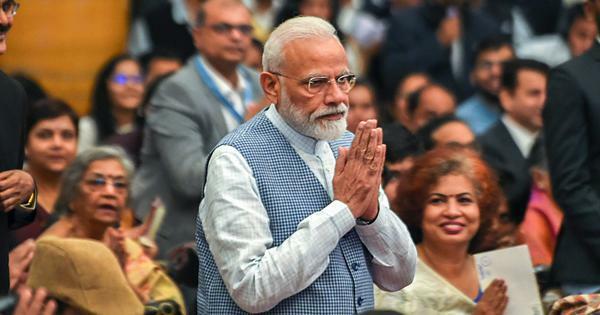 11.33 am: “Loyal courtier of Congress’ royal dynasty admits what the nation already knew- Congress was unwilling to respond to forces of terror,” Modi tweets on Pitroda’s comment on the air strike in response to the February 14 Pulwama attack. 11.25 am: The daughter of former parliamentarian YS Vivekananda Reddy meets Andhra Pradesh chief electoral officer to seek his intervention in the inquiry of her father’s death. Reddy, the uncle of YSR Congress Party President Jagan Mohan Reddy, was found dead at his home in Pulivendula on March 15. 11.07 am: YSR Congress Party chief YS Jaganmohan Reddy to file his nomination papers at Pulivendula soon. 10.55 am: Telangana Rashtra Samithi announces candidates for all 17 Lok Sabha seats in Telangana. Chief Minister K Chandrasekhar Rao will not contest the elections. 10.49 am: Congress MP PL Punia says an “arrogant person” like Amit Shah has taken the place of a stalwart like LK Advani, reports ANI. “The public knows it’s all about where the shift has taken place and how the whole party has gone under the grip of one person,” he says. Shah was fielded from Advani’s constituency, Gandhinagar in Gujarat. 10.45 am: The Election Commission files a case against actor-turned-politician Prakash Raj for allegedly violating the Mode Code of Conduct. 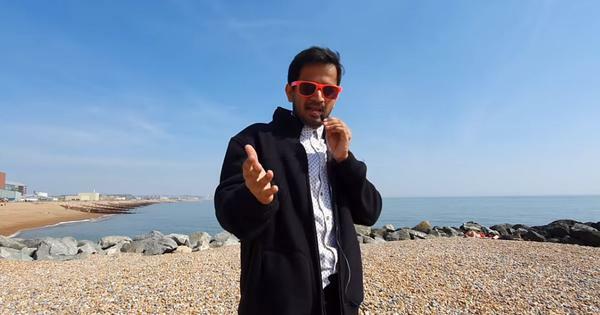 The independent candidate from Bengaluru has been accused of campaigning at a public meeting. 10.38 am: The Grand Alliance of Opposition parties in Bihar is expected to announce the seat-sharing arrangement in the state on Friday. The state has 40 Lok Sabha seats. The grand alliance in the state comprises the Rashtriya Janata Dal, Congress, Rashtriya Lok Samta Party, Hindustani Awam Morcha, Loktantrik Janata Dal and Vikasshil Insan Party. 9.45 am: A group of BJP workers protest at the party office in Cooch Behar in West Bengal after Nisith Pramanik, who recently joined the party, was given a ticket to contest from the parliamentary constituency, reports ANI. 9.40 am: In Tamil Nadu, Amma Makkal Munnetra Kazhagam led by TTV Dhinakaran releases second list of nine candidates, reports ANI. 9.37 am: Congress spokesperson Randeep Singh Surjewala says senior BJP leader LK Advani’s seat was ‘snatched’ from him. “When PM Narendra Modi cannot respect Lal Krishna Advani, how will he respect the wishes of the people?” he says on Twitter. 8.50 am: Union Minister of Textiles Smriti Irani to contest against Congress President Rahul Gandhi from Amethi in Uttar Pradesh. 8.45 am: The Congress has criticised the BJP’s decision to field Amit Shah from veteran leader LK Advani’s seat, Gandhinagar. 8.35 am: Rajasthan Chief Minister Ashok Gehlot says the Rashtriya Swayamsevak Sangh has a hold on the government that is “extra-constitutional”, ANI reports. 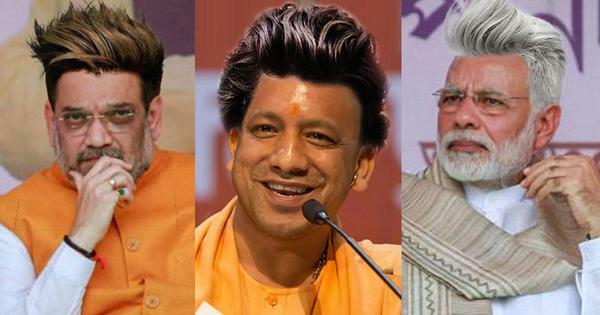 The Bharatiya Janata Party released its first list of 184 candidates for the Lok Sabha elections. Finance Minister Arun Jaitley claims ‘three fake campaigns’ by the Opposition were exposed in a single day. Samajwadi Party’s Ram Gopal Yadav claimed paramilitary personnel who died in the Pulwama terror attack last month were “killed for votes”. The Aam Aadmi Party issued an advisory for journalists ahead of elections, which drew criticism from the BJP and Congress. The Election Commission issued notices to two Trinamool leaders for allegedly violating the code of conduct.